You know how I love polka-dots. Well I hit the jackpot at FabGabs. 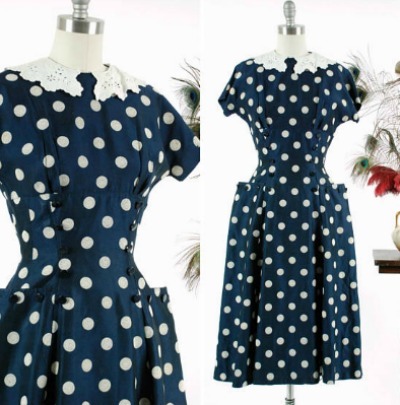 Isn't this the perfect "I Love Lucy" dress?